Knitting Needle Sizes…Why so many options? Knitting is a hobby that is enjoyed by millions around the world, many of which have a region-specific standard for measurements. This is true for many forms of measurements, not just knitting needle sizes. The Craft Yarn Council governs the industry standards for knitting as well as crochet. It is made up of yarn and notion manufacturers who have agreed to adhere to a certain standard to keep information consistent and obtainable for consumers like you and me. The council’s needle manufacturers have agreed to make metric (mm) and U.S. (numbers) sizing apparent on every needle that is manufactured. If you’re like me, you have a hard time remembering the conversion from U.S. knitting needle sizing to metric knitting needle sizing. You will see both forms on patterns – it’s usually based on what region the designer lives. I’ve always leaned more toward metric measurements (perhaps it’s my strong science background) but I’ve made a real effort to use U.S. sizing on my patterns. I am, after all, a proud citizen. All that aside, the U.S. standard of knitting needle sizing seems to be more prominent. I’ve prepared not one but two knitting needle sizing charts – one for you to pin and save online somewhere and another for you to download and print. A hard copy always comes in handy. 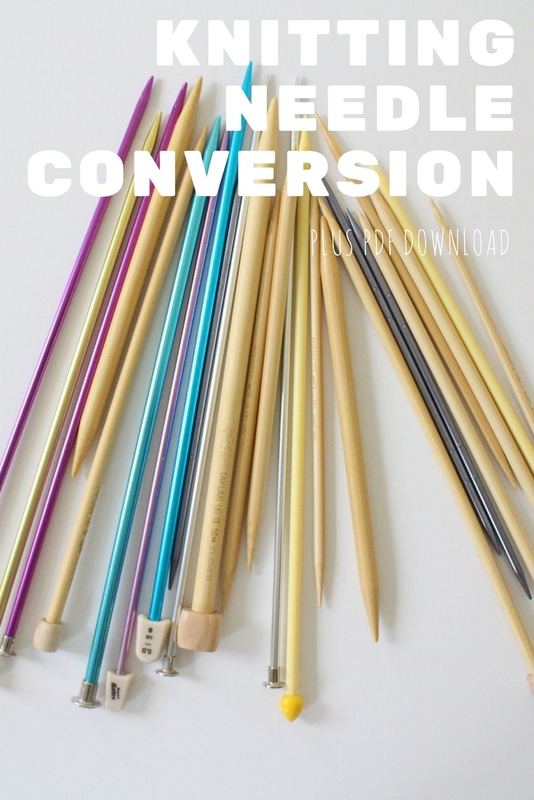 If you haven’t done so already, pin the chart you see above and click the link below it to download and print your PDF copy of the conversion chart. As always, I’m here for you so if you have any questions whatsoever, please don’t hesitate to leave a comment below. I dedicate a couple of hours each day just to answering your questions and troubleshooting with you because I sincerely want to see you succeed. Do you love yarn? Good, you're in the right place. Hi! 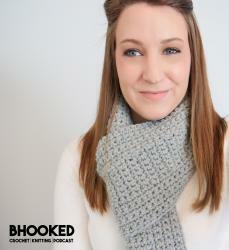 I'm Brittany, crochet & knit designer, instructor, video host and broadcast personality behind all you see at B.Hooked. My mission is to teach you about crochet or knitting (or both!) so you can find health and happiness in yarn. Sound good? Will you join the B.hooked community?